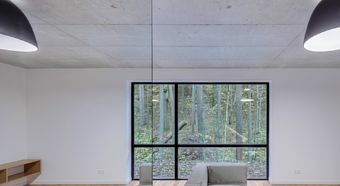 A private house bearing the signature of the architects of YCL Studio is located in the middle of a wood in Vilnius. 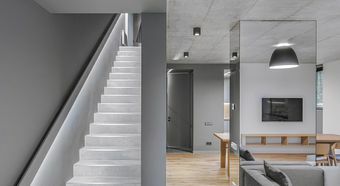 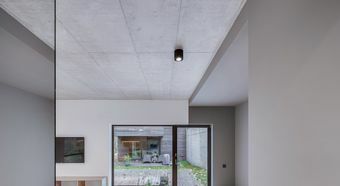 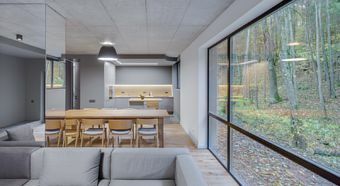 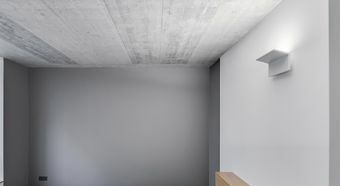 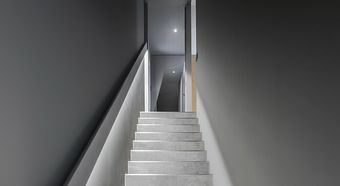 Concrete walls and concrete ceilings dominate the interior of the house. 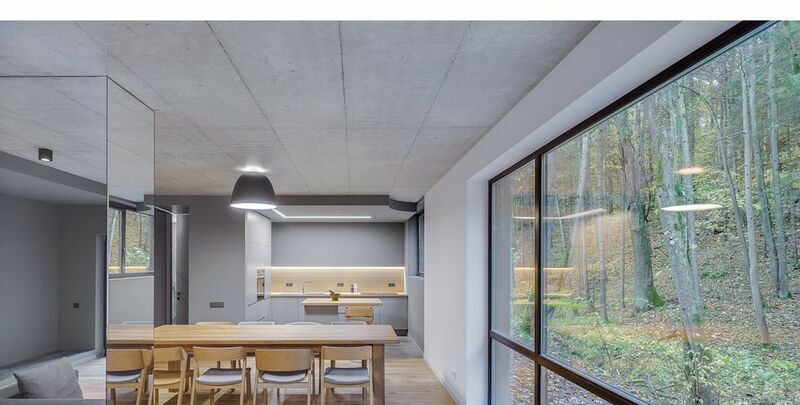 The concrete walls form the boundary between the living area and nature. 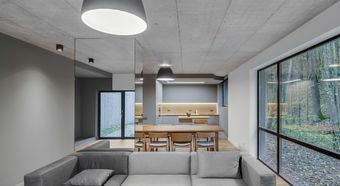 The combination of shades of grey in connection with wooden accents in the living area is captivating. 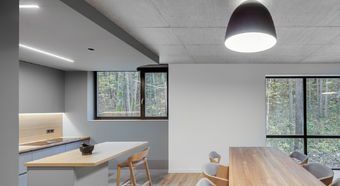 A light-coloured wooden floor and matching dining table create a friendly atmosphere. 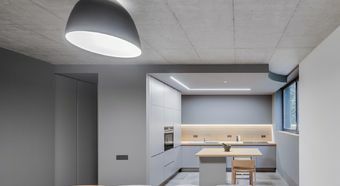 The grey kitchen and the grey couch integrate harmoniously into the concrete appearance of the walls. 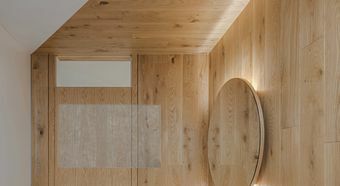 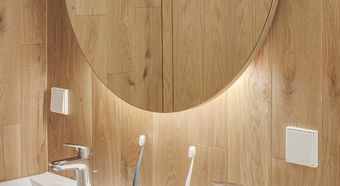 The mirror column in the living area separates the kitchen from the living room and creates the illusion of a larger room. 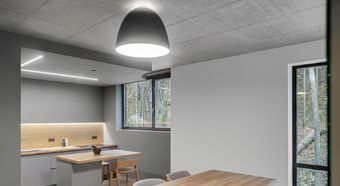 The classic LS 990 switch in white and anthracite integrates elegantly into the Scandinavian furnishing style.